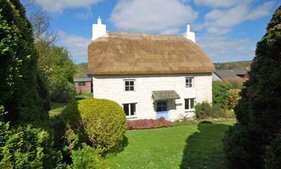 Boathouse & Land, Fore Street, Lerryn, Cornwall, PL22 0PT. Boathouse & Land, Fore Street, Lerryn, Lostwithiel, Cornwall. 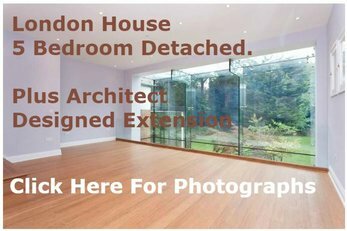 Renovation opportunity – subject to planning consents. The Station, Chapel Street, Market Rasen, Lincolnshire, LN8 3AQ. Belton & Burgh Railway Station! Railway Barn, Station Road South, Belton, Norfolk, NR31 9NA. Former Munitions Store, Britannia Way, Priddy’s Hard, Hampshire, PO12 4FZ. Tel – Rob Marchant or Mike Marchant: 0845 6001265. Former Treatment Works Site Suitable for Residential Development. Tel – SVA Auctions: 0131 624 6640. Chenequa Residence (c) 2014 Cameron Neilson & Oshatz Arcitectural. As well as a pleasure, this new format Unique Property Bulletin has a fresh dynamic for the volunteers at this end. Why? The two way communications between Bulletin reader and writer. 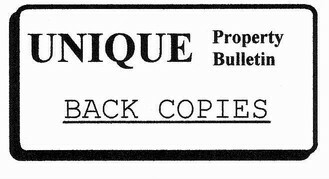 A case in point: the old Series 3 paper version of Unique Property Bulletin as displayed last week was intended to illustrate what went before, and to show a little of the editorial that used to appear. The same editorial type of section you are reading now. This week’s editorial element was scheduled to cover a truly unique World War II sea located place to live. One that, in 25 years of writing the Bulletin hadn’t figured in our consciousness. Well it had in other areas of life, but not as an unusual home. So what were the emails from our readers about? Apart from the front cover and the page two editorial section, what did we overlook and our readers see? In fairness, when the paper version was uploaded we had our hands full with IT issues, and HTML coding. Not a favourite subject. But the eye line of several site visitors was drawn to the numbers showing profitable adventures on the lower right of page two. PLEASE TAKE A MOMENT TO STUDY THE FIGURES ABOVE. THIS IS REAL MONEY. IT IS ALSO THE KEY TO REALISING UNIQUE PROPERTY ADVENTURES. In 1999 with banks and commercial lending still raw after an earlier recession, we had a dilemma over an unusual property – the location was genuinely unique, on the Mull of Kintyre – the property, whilst a splendid Art Deco structure, was, sadly, ruinous…. But there was something about this building and the views – open sea to Sanda Island, Ailsa Craig Island, Ayrshire, Northern Ireland, that meant we had to have an adventure. … was bought – lock stock and barrel. Then fate played a hand. We had an awful time with a government agency that was paid millions of pounds to help rejuvenate economically challenged areas. 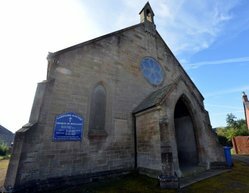 A modest request to repeat a 10% support offer to renovate the Keil Hotel [that had already been made to previous owners] was met with a dull response akin to watching paint dry. One of our group of three said: stuff that, just sell the hotel. This is where the financially interesting thing happened. A marvellous young auctioneer by the name of Chris Glenn at London’s Barnard Marcus Auction House did the honours, selling this building and with some style. The total receipts once the Hotel …. … had all sold, topped the £100,000 mark! This was jaw dropping for all of us. In a good way. But a startling result nonetheless. After deducting the [well deserved] auction house fees, legal costs, planning consultant invoices, insurance fees etc., there was still a great deal of spare money left over form the original £24,000 cost of buying this unique wreck. It doesn’t require a degree in mathematics to work out the profit on that! From that first Unique Property Syndicate seventeen more flowed. Not all were successful, but the cumulative total in profits for all concerned amounted to more than could ever be hoped for. “All concerned” had also grown in number such was the interest way back then: 44 participants at the peak. 2 Syndicates made a loss, underwritten by the members. After the first few Unique Property Syndicates the accountant said this was an inefficient way of funding projects – a lot of profit was being given away. To which the response was that profit, whilst important was not the primary mover. The unique adventures were. The second part of the reply was – far better to share profits with friends than have the usurious banks messing things up and grabbing more than their fare entitlement to the proceeds of these enterprises. … could not have happened without Unique Property Syndicates. It is still a heart lifting thing to have witnessed over 100 jobs created from an embryonic first Unique Property Syndicate. All from a derelict shell of the poor old Keil Hotel. Good on the old building. But back to the subject in hand. Over the past 14 years the laws have changed. The rules about raising funds are quite rightly tight and well regulated. Legal advice meant we had to test a public share issue approach. This was a very expensive way to raise funds. Just mention the supposedly solid letters “plc” to any accountant and an extra zero seems to appear on the invoice. A £750 accountancy fee magically becomes £7,500. A neat trick for that particular profession! The short explanation is that plc share issues are one way to raise funds – but very expensive and eats way into any profit. There is an alternate way – where each individual member of any given syndicate is at liberty, after proper due diligence and independent legal advice, to buy a specific buildings within a compound containing several buildings. Each building clearly delineated on a proper legal red line curtilage Title Plan Deed. So this is where things progressed. It kind of made sense, and has worked well. For example, if an organisation is selling several buildings in one lot, then at times of recession and banks’ being very tight about any lending, the number of people that can buy such a large and complex set of buildings reduces to near zero. This of course brings the price down. A lot. The key is to have good legal advice and to sort out your syndicate rules. For example the lawyer MUST handle ALL money and ALL Title Deeds. That is a strict rule that anyone considering their own group of friends syndicating a property adventure should abide by. We certainly believe it to be a cardinal principle. Next, for this Unique Property Syndicate explanation of how funding has worked in the past, the best way of progressing a syndicate, in our opinion is to have each friend buy their own legally defined part of a title. In the example of a lighthouse compound, have the Title Deeds distilled into the various properties. Then with precision by the conveyancing lawyer, co-ordinate all the individual purchases with the one overarching sale of the compound, or complex of several properties. It is very likely the overall price for an unwieldy lump of buildings can be negotiated down, then each constituent building will likewise cost the new owner of that element significantly less than might otherwise be the case. After the purchase each participant can either sell their property or keep it. 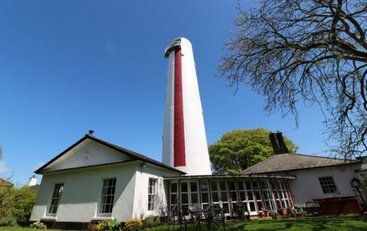 An example of one such property that has seemingly “stuck” is the three buildings compound of Point Lynas Lighthouse, Llaneilian, Amlwch, Isle of Anglesey. … the price has gently descended to £1,375,000. The number of people that can afford £1,375,000 is a fairly rarefied market to start with. However with 3 buildings and 17 acres in this compound, the arithmetic on a Unique Property Syndicate basis may become interesting. Using the most crude of calculations divide the £1,375,000 by 3 and this values each [4 star] building a ballpark figure of £458,000. Plus each house would have around a third each of 17 acres from this purchase [about 5.65 acres per house]. That is still a big lump of cash. But there are many more people able to finance a £458,000 property purchase than £1.3 million plus. Especially as an individual building may be bought on a residential mortgage, rather than the commercial mortgage the £1,3750,000 current compound would require. Also the restrictions on commercial lending, and ultra large deposit is play a direct role in why Point Lynas has remained unsold for so long. So by distilling East Keeper’s Cottage, West Keeper’s Cottage and the Principal, or Head Keeper’s Cottage into three, the elements become easier to sell. Not least but if a mortgage for any is required by an onward buyer, it is more likely to be secured on a residential mortgage basis than a very challenging £1,375,000 commercial loan. So where would a Unique Property Syndicate work in all of this? Three friends would join together and negotiate the £1,375,000 to as low a figure as possible [bear in mind Ailsa Craig island was reduced from £2,500,000 to £1,500,000 cutting a cool £1,000,000 off of that price tag]. What the WHOLE Point Lynas Lighthouse Compound might be bought in at is for three private individuals to work out. Once a price is agreed, the pro-rata valuation of the three residences is calculated [they won’t all be the same arithmetic or aesthetic value]. The percentage reduction negotiated on the head global price of £1,375,000 is applied to each of the three constituent title parts. The lawyers sort out the legal Title Deed elements to each new portion for the three – soon to be separate – buildings for each new owner. Result: each syndicate member then owns outright the individual lighthouse building of their choice at a discounted price. They can then either keep a bargain unique property to live in and enjoy. Or they can sell the individual building onwards. Bearing in mind the very competitive buy-in price, and fact that there are many more buyers that would afford a £458,000 purchase than a £1,375,000 commercial acquisition. Also remembering that individual building sales are likely to have an onward buyer who is eligible for a residential mortgage rather than the rare-as-hens-teeth commercial loan. This is an explanation and an example of how Unique Property Syndicates have worked in the past, and how they might work in the future. 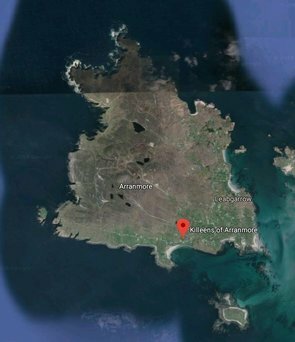 We, here at Unique Property Bulletin like Anglesey, but are a fair old distance away and at this time have NO intention of putting a syndicate together for Point Lynas Lighthouse Compound. But you and a couple of friends might like to look at Point Lynas in a new light. We have utilised the Point Lynas Lighthouse Compound sale as a worked example. The numbers may or may not work. That is part of the whole Unique Property Syndicate exercise. Taking a forensic approach to each project under consideration and establishing whether it works, and captures the interest of those looking to forge ahead. There are MANY eligible unique properties for syndicate scrutiny. Assessing the right one is both important and exciting. There are a LOT more to these syndicates to study than we have time for in this editorial treatise, but hopefully the above gives a flavour, and some answers to the emails from readers on this subject. We would heartily recommend unique property syndicate style endeavours to anyone who likes this sort of thing. A lot of fun is found along the way. Not to mention a fact certificated by our solicitors the past enterprises have, in the majority, been very profitable. Albeit on the basis of 14 successes; 2 break-evens, and 2 loss making efforts. Cumulatively an overall success. The percentage profits disclosed in the old paper format Bulletin are all REAL and verifiable. So we wish all those so inclined to go on one of these adventures the very best. We have thoroughly enjoyed all of ours, and as a by product, many jobs were also created. Not a bad set of results when taken in the round.